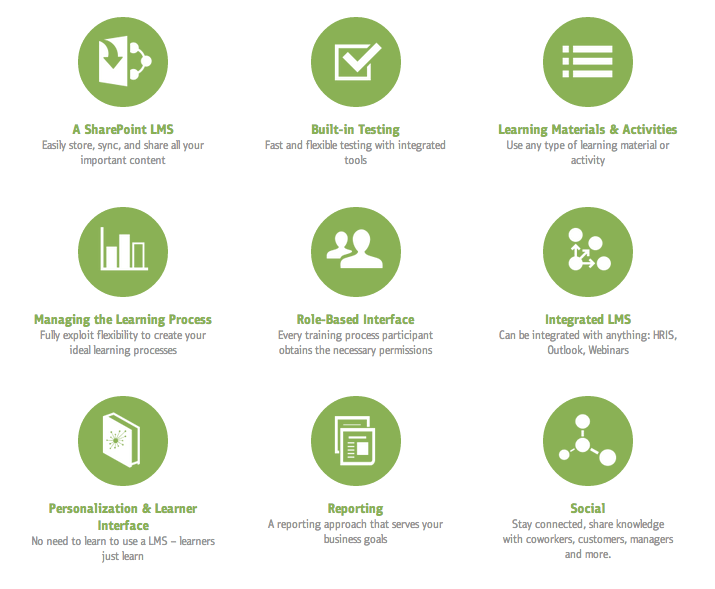 Learning Management Systems / Can SharePoint As An LMS Really Work? Can SharePoint As An LMS Really Work? SharePoint is touted as Microsoft’s fastest growing software and the grand poobah of content management and collaboration. So, why not save money and train more efficiently with already existing technology investments? This article will explain the areas SharePoint excels at as an LMS as well as key functionality pieces that need customization or support from a separate LMS. 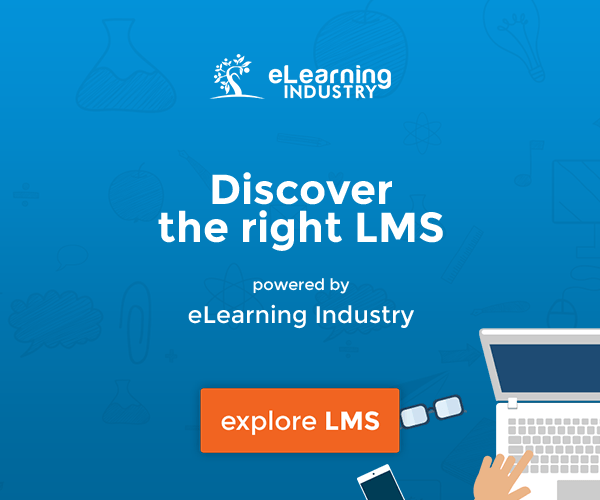 There is no question that Learning Management Systems are not going anywhere. In fact, the industry has grown by leaps and bounds and is expected to take in revenues exceeding $2.5 billion this year. Companies reap the many benefits of an LMS from hosting a centralized learning environment to organized compliance procedures, collaboration, employee retention and cost savings to name a few. Microsoft SharePoint hosts a plethora of features that perform much like an LMS such as document sharing, calendaring, discussions, intranet-esque page design and of course, tight permissions for users. So, it begs the question, can a SharePoint LMS offer a better, all-inclusive experience? Statistics show that Microsoft SharePoint is one of the fastest growing applications in the company’s history and continues to surge. In fact, 78 percent of Fortune 500 companies are using the application. Many training managers are beginning to ask the obvious…wouldn’t it make sense to save money and utilize my company’s investment while taking advantage of all the LMS rich features that are available at my disposal? Let’s begin with the areas that SharePoint as an LMS excels at and are available right out-of-the-box. A short feature list but by no means all-inclusive. SharePoint reigns supreme for content management. Having both content management and an LMS connected makes uploading training material that much easier. Version control and approval workflows also ensure a better-managed compliance system. Team sites allow project management to flow seamlessly with task lists, reminders, calendar and social collaboration. Sync Microsoft SharePoint with Microsoft Project for even more efficiency. Folder and content level permissions. Get as granular as you need by setting permissions that allow the right people access to specific training content. SharePoint’s social features make collaboration a snap with the addition of blogs, communities, Wikis, RSS feeds, gamification and discussion boards. Single sign-on and active directory sync. Never again will learners have to remember another username and password. SharePoint automatically syncs with an organization’s active directory and other systems. Utilizing surveys can help identify what is good and not so good about a training program. As you can see, SharePoint does in fact present many effective solutions for LMS functionality. However, it has its limitations and this is where it gets a little confusing for those in the market for an LMS. In the next few paragraphs, we’ll explain LMS features of SharePoint that can work with a little customization as well as areas that only a separate Learning Management System can accommodate. SharePoint offers basic capabilities to create a quiz using lists. However, for more detail, a program like InfoPath or SharePoint Designer can create custom tests. SharePoint allows a user to perform basic list view customization, like filtering, changing the sort order, and showing or hiding columns. To get a little more customized, SharePoint Designer can perform this same level of customization and in addition, change the layout of the list, apply conditional formatting to the list, connect the list view to others lists, and much more. Microsoft SQL Server 2014 Reporting Services integrates with SharePoint and is a server-based reporting platform that provides a full range of ready-to-use tools and services to help create, deploy, and manage reports for your organization, as well as programming features that enable the ability to extend and customize reporting functionality. Custom code can be used for course administration requirements. SCORM / AICC / Tin Can compliance. Enrollment requests, wait lists, multiple days training management. CEU tracking, digital signature, recurring events. User and team transcripts, custom reports. Learning that is targeted by title, department or personal learning objectives. Course prerequisites, combined courses that consist of several learning activities. Question-level reporting, embed multimedia in questions, various answer types. Managing webinars from within SharePoint. SharePoint is about giving you and the people you work with a better way to get things done together. This multifunctional tool can help keep your entire organization in sync, make processes and people more productive, deliver more engaging and effective customer experiences, assist in achieving legal and regulatory compliance and balance IT and business needs. All of these features make it a prime tool for use as an LMS. So, to answer the much anticipated question…can a SharePoint LMS offer a better, all-inclusive experience? Yes and no. There is no denying that SharePoint features out-of-the-box are quite impressive and for those looking for very basic training characteristics…yes, it can work satisfactorily. However, depending on business needs and goals that are little more complex, it is safe to say that SharePoint will need customization and/or a separate LMS in order function as a full, all-inclusive training experience. What is your experience with using SharePoint as an LMS? Please leave a comment below.